All ages, all backgrounds, and just about all people have one thing in common – a love for pizza! Our owner Paul Heilbrunn has mastered Indiana’s best pizza, so it’s no wonder why folks of Bloomington and Columbus have pizza on their mind, but what about everybody else? 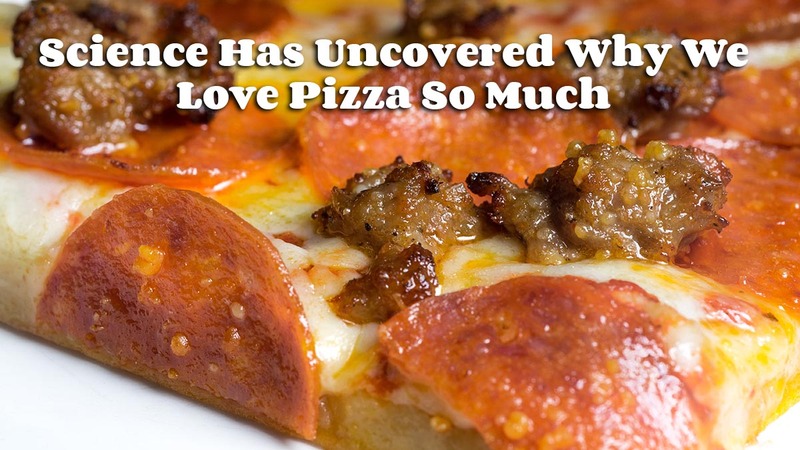 Science has uncovered why we love pizza so much, and when you break it down it really makes a lot of sense. The University of Michigan published a recent study in the US National Library of Medicine, and in this study, researchers examined which foods tend to have “addictive” qualities to study participants. 504 students at the university were studied, and the overwhelming answer that came out on top for the most addictive food was unsurprisingly pizza. Amongst the other top foods cited were chocolate, cake, and French fries. What do pizza, chocolate, French fries, and cake have in common? They’re all foods that have fats and carbohydrates that are easily and quickly absorbed into the body. When these foods are absorbed into the body the reward-related region of the brain goes into hyperdrive, firing off positive feelings that provide that “comfort” feeling so many get when they take that first bite into their favorite pie. However, there’s also a reason why pizza always comes out on top. Not only does pizza have the right fat to carb ratio to send our reward centers haywire, but it also includes another important happy-feeling ingredient – cheese. Cheese is naturally high in a ingredient called Casein, a simple protein that is found in all products containing dairy. While the body digests Casein, it releases casomorphins, a hormone that stimulates reward centers of the brain in its own way. So, not only are the reward centers being stimulated by digesting the balance of fats and carbs, it’s also being stimulated by the casomorphins released as the body digests the cheese proteins on top. 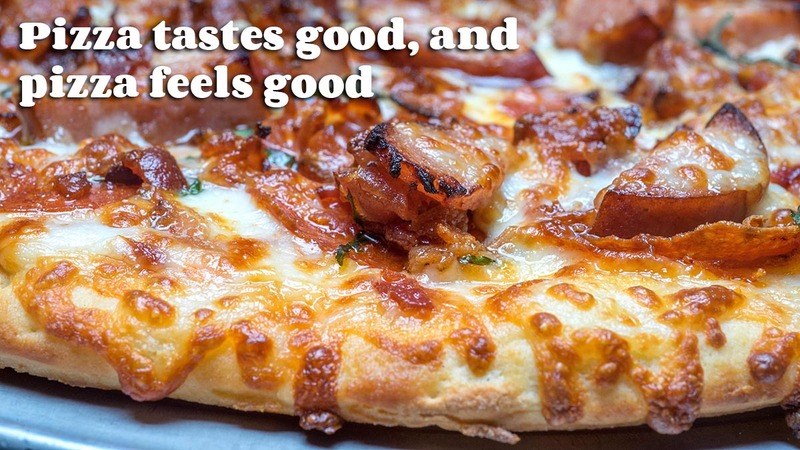 Pizza tastes good, and pizza feels good, which is why it’s widely considered one of America’s favorite foods. If you’re craving pizza for dinner tonight, our 19 specialty pies are here to give you a whole new take on a tried and tested old favorite!